We are so excited to welcome Caroline to the RMHCK family for the summer while she completes her Human Development & Family Studies Degree from Auburn University! You may have already met her or will meet her soon at our House. 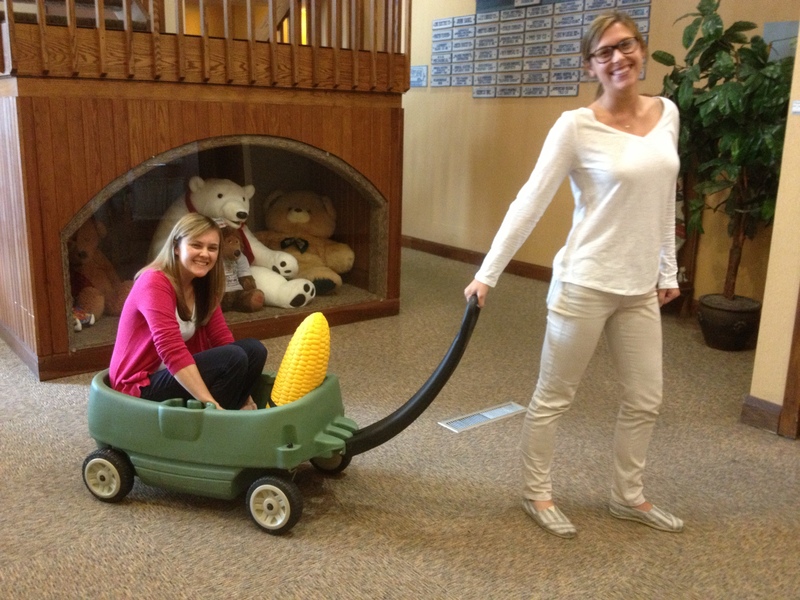 You never know what a day at RMH might bring…like pulling Stacey and Carl around in a wagon! Hello, everyone! My name is Caroline Glennon and I’m the new intern. You’ll probably see me around the house this summer, so I thought I should tell you a little bit about myself in my first blog post. I was born and raised in the Northern suburbs of Chicago. I am the third of four children and am very close with my siblings. Though I love Chicago, when I graduated high school I was itching to do something different. That itch led me to Auburn University in Alabama and it was the best decision of my life. I made incredible friends, fell in love with the South, and found a field I was passionate about. I majored in Human Development and Family Studies- Child Life, which essentially is a combination of psychology and child development. Throughout my education I learned I have a heart for helping children and families through difficult times. The final component to completing my Child Life degree is an internship, so that’s how I ended up here! In my free time I love to do yoga and craft, and I am looking forward to getting to know Louisville. I had heard about Ronald McDonald House Charities and knew I wanted to get involved in all the work that they do to aid families and children. Just a couple weeks into my internship, I have learned about/helped with check-ins and checkouts, as well as working with volunteers, getting to know families, the house, and RMHC as a whole. The most surprising part of my experience so far is how close-knit and helpful the staff is. They have been incredibly warm and welcoming since day one and always make me feel like I am a part of the group. They are so passionate about the organization, their volunteers, and helping each other out—it’s a wonderful example of how a work environment should be. I’m excited to see what the rest of the summer at The House holds!